A world without fear – and without brutality was traded off for what? Qaddafi, Mubarak, Ben Ali, and who else? I watched a little while ago as Ambassador Rice spoke to reporters in a press briefing carried on CNN. She was asked by a correspondent about Qaddafi’s remarks this morning to BBC and ABC. The statement she made was that he is clearly delusional. I’ll look up the exact quote because it was remarkable. And, she is right – it underscores the urgency and the danger of the current situation. Early this morning, I happened upon a twitter from the Financial Times which I clicked and it turned out to be a video interview with one man as a guest – probably well-known – being questioned by a host about doing business with someone like Qaddafi and other ruthless dictators. A few seconds into it, I turned it off at the point when the man who was the guest started saying that first of all, it wasn’t a good thing to do but then said why it was a good thing to do. Sometimes, it might be worthwhile to spend time trying to understand that double think and use of “perception management” being done – but I had no patience with it right now. The reason why I didn’t have any patience with it is simple. The problems caused by the previous handling of Qaddafi and his sons, his family members and regime leaders as well as the nightmare caused by the thirty year handling of the Mubarak regime’s brutality and corruption (among others like them) makes it overtly obvious that it was wrong for a multitude of reasons. The stability it “afforded” was false – it was known to be a disaster just waiting to happen. The oppression it caused is unforgivable and obscene. The treacheries that it supported and has perpetrated are insane, grotesquely evil and grossly manufactured more horrors and difficulties each moment, each hour, each day, each week, each month, each year and for decades across greater and greater facets of everyone’s life everywhere in the world. And, the economic investments put into the region were always in jeopardy and resting on the sands of a variety of disasters that could have, and finally did happen. The way it was set up, there were disasters across a number of possible scenarios that could’ve happened at any time. The price paid for it to be done that way was high all along, including the brutality, the placing of dangerous weapons and resources in the hands of despotic serial killers, the corruption, the diversion of resources into their personal coffers and the wholesale bribery forced upon businesses that would participate with the countries where these despots were kept in power. The price paid for it was unconscionable in the human oppression and brutality across tens of decades and generations of people’s lives. And, the price paid for it was untenable because the problems and issues were unresolved by doing it that way which left them to remain without solutions and without alternative options. Still needing these solutions and alternatives to be available has ended up happening at a time when we and the world can much less afford it and need them even more critically. The economic foundation of these nations and our own were placed upon a risky quagmire waiting to give way at any time and the reality manufactured by “perception management” about it didn’t actually make it stable, strong, secure or healthy. The civil society was suffering for it. The problems it was supposed to fix by making the “trade-off” of doing business with ruthless dictators still exist to this day. And, now what? At any point, it could’ve actually been even worse than it is – and even much, much worse than the way it is turning out so far (which, I might add, remains to be seen, what the full import of these situations will be.) The idea that our business leaders and previous government administrations, found someone they could buy in order to keep them in line with satisfying the world demands for oil from the region while looking the other way on the brutality these regimes were perpetrating – was folly at best. It remained a waiting cauldron of difficulties, rather than the real peace, prosperity in the world and stability it seemed to promise. I do understand. The oil our nation and the international community bought this way by keeping these horrendous beasts of mankind in power, was a way to insure that our freedoms at home, our goods, our opportunities for food and other necessities could be covered at a price that our nations would be able to use to prosper (and have our own basic security.) But, the trade-off was more than that. We traded the other options off the table, or put them off indeterminately. While a man spent thirty years of his life inventing, researching and creating something else that would work – none of those government and business resources went to support that option. And, in many ways – in a multitude of ways, that story of that one man /that one woman has exponentially played out across this nation and others around the world for thirty years times hundreds of thousands of individual lives inventing, innovating, creating, designing solutions – nearly all of which were never brought forward to be made available in the world. Not only that, but by honoring and worshiping these men whose lives were the opposite of everything that we hold dear and the antithesis of every principle upon which our nation (and the United Nations) were founded, we didn’t become simply the “whores” of mankind as business seems to believe. We both honored evil and dishonored truth and good, respect-worthy things simultaneously. It made us the opposite of what we wanted to be. And, that makes us something else far beyond what businesses and world leaders consider it is. There is an intrinsic price that was paid for it. We are already bearing the fruits of that price. Part of that price is that the same problems remain to be solved. Part of that price is the money laden powerful dictators that have been underwritten by it at the cost of their nation’s people and the rest of the world. Part of the price is the dependence on a relatively few sources of a necessary commodity putting all of us and all of modern life at the mercy of those few sources. Part of that price is also that by honoring barbaric evil, we received greater evil and more of it. And, part of that price is the opportunity cost of what we lost and did not do that could’ve been done. Perhaps, being that fusion had already been created and designed and tested and studied and brilliantly used for inventing – that would have powered our whole world. But no – it didn’t get that chance and the man who could have helped to take us there with it was excluded from pursuing it at a point where business thwarted his efforts as they decided that mergers and acquisitions were the “real” money. Maybe the hydrogen cell and other battery technology which came out of the research from the past needs for batteries in the space program long ago created, studied and invented during the Mercury, Apollo, and Soyuz programs could have provided all the industrial needs for power for ships, for planes, for trains and diesel trucks – for our factories, for any number of home and consumer uses. But, no – the little bit of funding for it went instead to continue subsidizing the oil industry so they could have that money support Mubarak and Qaddafi and God only knows who all else that are just like them or worse. There is a nifty Honeywell turbine that uses magnets on the fan blade tips to produce electricity from the wind with less energy conversion loss than many other of the designs available – is that in every home electricity grid? Is it even affordable? Does it get the lion’s share of money for manufacturing it that it could have in comparison with what oil companies get? And, why would anyone have thought that tons of Semtex should have been in the hands or access of Qaddafi in the first place? But by giving him hundreds of millions of dollars and resources around the world that also honored him because of his wealth and power, which we gave him (and I include more than the US and the Western nations in that) – Qaddafi not only had tons of Semtex but used it to kill hundreds of people. He also paid people to go use that horrendous explosive on vast scores of human lives that were killed or permanently altered in the most horrific ways. Mubarak produced many of the terrorists that have troubled the world and so have other nations who happen to have also oppressed their people intolerably. The weapons shows honored them, welcomed them and welcomed their money to buy whatever they wanted to buy. And, the world leaders and world’s business leaders not only allowed them to do that, but encouraged it knowing there was going to be no good in it sooner or later. If I sell a man a bat whose intentions are to go play baseball with his sons and later he uses that bat to do violence, maybe there is nothing I could’ve done to stop it nor to even know it would happen. But, I wouldn’t sell a man a bat whose only intention was to go use it to kill somebody, when that intention was obvious. For that, I would be responsible if I knew that is how he was intending to use it. And, when arms sales were made to Qaddafi – it had to have been obvious that his intentions were to use those things deplorably somewhere women would be hurt, children were to be hurt, men were to be hurt and possibly all of them to be killed by it. His state of mind has been obvious all along, his intentions were well-known, and his willingness to play against all of us at any time for even the most petty reasons were (and still are) easy to see. And, what do we have to show for it? A nation divided. National resources plundered. People’s lives on hold for years upon years throughout the world. And, the most horrendous crimes and brutality even in our own country that have ever been seen by mankind – and I don’t mean Loughner although he was certainly a real piece of work, too. I was thinking over the many other atrocities – including war zones in our own living rooms, horrendous crimes on our streets, horrendous crimes of domestic violence every minute of every day across our nation, police brutality in our own communities and around the world, destroyed economies throughout the United States and the World, and criminal atrocities at every level of our society. Well, I edited the above comments a little bit after thinking about it and then it occurred to me that it needs a little more. When oil was the only choice, it put us at a disadvantage. Endorsed by the world leaders and international businesses including the vast oil industries, these regimes could have done things in any way they wanted which includes treating people right and honoring their human rights, creating prosperous societies across all levels of their country, and being a stable, decent participant in the world. The stupid double think used to perpetrate the lies that it was the “right” thing to do in the “right” way in order for it to stay that way when it was actually the exact opposite of everything that is “right”, has cost all of us, including me. The opportunity cost born consistently over tens of years in our country and around the world as money flowed to doing things that way, perversely affected all of us as well, including me. It robbed all of us of the progress that would have been made along other avenues of thought and resources, other designs, other research, other goods and services, other energy sources, other inventions being brought to the marketplace and supported, other options and breakthroughs being supported financially and other leaders in the world who would have been chosen democratically and treated their citizens equitably. Fourth, what difference does it make? 1. The money being funneled into these programs still exists in the same way it did with billions of dollars going into it in the same manner, whether it is to buy access to oil reserves available under a propped up horrific dictator or brutal government, or to finance military equipment to them. 2. There has not been a shift of paradigm which says those who are responsible for shifting that money into these programs are ultimately responsible for the horrors being perpetrated with these resources. That includes the UN, the nations underwriting money, sales and grants to them, as well as the business leaders involved in them. 3. It promotes this “double think” about it in order to say it is “right” when it isn’t, and funds the companies who rely on accomplishing that whether it is lobbying firms, purchasing agents, government bureaucrats and politicians, consultants, “think tanks”, some academics, or media outlets based specifically upon accomplishing that. 4. And, the bottom line of that “double think” process is that it divides, creates chaos, undermines a clear view of the facts where we can all come together and work with those facts in a reasonable and intelligent manner, it leaves us vulnerable to the truth when it does become obvious, and it keeps us from coming together generally to discuss the facts rather than to argue about what the facts are. That is the greatest dividing factor we have now. 5. Many of those who spent their lives researching, designing, inventing and proving other options to be viable are gone now and their brilliance is lost. Where they might have gone with it will never be known, because their efforts were thwarted, unfunded, hindered, kept off the table and out of the marketplace. The brilliance of their thought, the avenues of their thinking, their knowledge about it and what they knew it could do are all lost to us and were never passed to teach any of it to us either. The opportunity for them to teach us across the world and the generations yet to come about the things they knew and understood was lost as well. And, it wasn’t applied across vast industries and systems like transportation, for instance where that knowledge and breakthrough thinking was so greatly needed. Accelerator-based light-ion fusion is a technique using particle accelerators to achieve particle kinetic energies sufficient to induce light-ion fusion reactions. Accelerating light ions is relatively easy, and can be done in an efficient manner—all it takes is a vacuum tube, a pair of electrodes, and a high-voltage transformer; fusion can be observed with as little as 10 kV between electrodes. The key problem with accelerator-based fusion (and with cold targets in general) is that fusion cross sections are many orders of magnitude lower than Coulomb interaction cross sections. Therefore the vast majority of ions end up expending their energy on bremsstrahlung and ionization of atoms of the target. Devices referred to as sealed-tube neutron generators are particularly relevant to this discussion. These small devices are miniature particle accelerators filled with deuterium and tritium gas in an arrangement that allows ions of these nuclei to be accelerated against hydride targets, also containing deuterium and tritium, where fusion takes place. Hundreds of neutron generators are produced annually for use in the petroleum industry where they are used in measurement equipment for locating and mapping oil reserves. Despite periodic reports in the popular press by scientists claiming to have invented “table-top” fusion machines, neutron generators have been around for half a century. The sizes of these devices vary but the smallest instruments are often packaged in sizes smaller than a loaf of bread. These devices do not produce a net power output. Sonofusion or bubble fusion, a controversial variation on the sonoluminescence theme, suggests that acoustic shock waves, creating temporary bubbles (cavitation) that expand and collapse shortly after creation, can produce temperatures and pressures sufficient for nuclear fusion. The Farnsworth–Hirsch fusor is a tabletop device in which fusion occurs. This fusion comes from high effective temperatures produced by electrostatic acceleration of ions. The device can be built inexpensively, but it too is unable to produce a net power output. The Polywell is a concept for a tabletop device in which fusion occurs. The device is a non-thermodynamic equilibrium machine that uses electrostatic confinement to accelerate ions into a center where they fuse together. Muon-catalyzed fusion is a well-established and reproducible fusion process that occurs at ordinary temperatures. It was studied in detail by Steven Jones in the early 1980s. It has not been reported to produce net energy. Net energy production from this reaction cannot occur because of the energy required to create muons, their 2.2 µs half-life, and the chance that a muon will bind to the new alpha particle and thus stop catalyzing fusion. The Farnsworth–Hirsch Fusor, or simply fusor, is an apparatus designed by Philo T. Farnsworth to create nuclear fusion. It has also been developed in various incarnations by researchers including Elmore, Tuck, and Watson, and more lately by George Miley and Robert W. Bussard. Unlike most controlled fusion systems, which slowly heat a magnetically confined plasma, the fusor injects “high temperature” ions directly into a reaction chamber, thereby avoiding a considerable amount of complexity. The approach is known as inertial electrostatic confinement. Hopes at the time were high that it could be quickly developed into a practical source of fusion power. However, as with other fusion experiments, development into a generator has proven to be difficult. Nevertheless, the fusor has since become a practical source of free neutrons, and it is produced commercially for this purpose. Fusors have been assembled in low-power forms by hobbyists. Qaddafi – oh never mind, it would have to be obvious by now that the above statements simply expands to include him and Israel, and just about every other nation in the Mideast, Africa and the rest of the world . . . Things changed dramatically with the arrival of Robert Hirsch at the lab. He proposed an entirely new way of building a fusor without the ion guns or multipactor electrodes. Instead the system was constructed as two similar spherical electrodes, one inside the other, all inside a larger container filled with a dilute fuel gas. In this system the guns were no longer needed, and corona discharge around the outer electrodes was enough to provide a source of ions. Once ionized, the gas would be drawn towards the inner (negatively charged) electrode, which they would pass by and into the central reaction area. 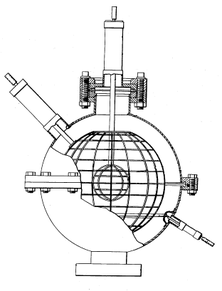 The overall system ended up being similar to Farnsworth’s original fusor design in concept, but used a real electrode in the center. Ions would collect near this electrode, forming a shell of positive charge that new ions from outside the shell would penetrate due to their high speed. Once inside the shell they would experience an additional force keeping them inside, with the cooler ones collecting into the shell itself. It is this later design, properly called the Hirsch–Meeks fusor, that continues to be experimented with today. All of this work had taken place at the Farnsworth Television labs, which had been purchased in 1949 by ITT Corporation, as part of its plan to become the next RCA. In 1961, Harold Geneen became CEO of ITT, which became a conglomerate, engaging in any sort of profitable business, rather than a telecommunications and electronics company. In the early 1980s, disappointed by the slow progress on “big machines”, a number of physicists took a fresh look at alternative designs. George Miley at the University of Illinois picked up on the fusor and re-introduced it into the field. A low but steady interest in the fusor has remained since then. An important development was the successful commercial introduction of a fusor-based neutron generator. From 2006 until his death in 2007, Robert W. Bussard gave talks on a reactor similar in design to the Fusor, now called Polywell, that he stated would be capable of useful power generation. In the most successful approach, magnetic confinement fusion, the necessary conditions are approached by heating a plasma contained by magnetic fields. This has proven to be very difficult in practice. The complexity of the systems applied detracts from the usefulness of the design for a practical generator. In the original fusor design, several small particle accelerators, essentially TV tubes with the ends removed, inject ions at a relatively low voltage into a vacuum chamber. In the Hirsch version of the fusor, the ions are produced by ionizing a dilute gas in the chamber. In either version there are two concentric spherical electrodes, the inner one being charged negatively with respect to the outer one (to about 80 kV). Once the ions enter the region between the electrodes, they are accelerated towards the center. In the fusor, the ions are accelerated to several keV by the electrodes, so heating as such is not necessary (as long as the ions fuse before losing their energy by any process). Whereas 45 megakelvins is a very high temperature by any standard, the corresponding voltage is only 4 kV, a level commonly found in such devices as neon lights and televisions. To the extent that the ions remain at their initial energy, the energy can be tuned to take advantage of the peak of the reaction cross section or to avoid disadvantageous (for example neutron-producing) reactions that might occur at higher energies. The ease with which the ion energy can be increased appears to be particularly useful when “high temperature” fusion reactions are considered, such as proton–boron-11, which has plentiful fuel, requires no radioactive tritium, and produces no neutrons in the primary reaction. Because an electrostatic potential well cannot simultaneously trap both ions and electrons, there must be some regions of charge accumulation, which will result in an upper limit on the achievable density. The corresponding upper limit on the power density, even assuming D-T fuel, may be too low for power production. What we lost, from the brilliance of what Tesla knew to Farnsworth – is the ability to ask them about it while they were literally taken out of the equations available to us by unfunding, unfair competitive practices, by diversions of resources to suit other players in the business world, by the shift from inclusiveness to exclusion, by the use of those dollars to do something else which would have funded all of their knowledge being made available to us for my generation and generations to come, We could have built upon it and carried it forward, understood it better having them and their knowledge as references in its entirety – but no. So, instead of having inventors, innovations, designers, engineers, creators, scientists, and other creative positive contributions supported – We and the other nations of the world were wining and dining heinous sadistic criminals who were nothing but destructive and oppressive and crushing and cruel. Now how did they come up with that picture as “right” and “desirable”? They’ve got to be kidding. 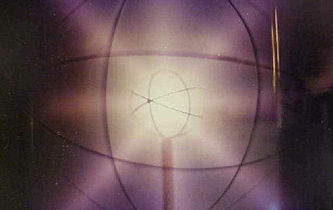 Farnsworth–Hirsch Fusor during operation in so called “star mode” characterized by “rays” of glowing plasma which appear to emanate from the gaps in the inner grid. SKY News quoted the rescuers as saying that they heard voices underground and dug through earth and freshly laid concrete to discover the seven men, some of whom were barely alive. They said some of the seven were anti-Gaddafi protesters and others were soldiers who had rebelled against the dictator. They were now being treated in hospital. The ground underneath the compound is yielding more dark secrets in a labyrinth of bunkers, prisons and armouries. This was Gaddafi’s subterranean stronghold in the east of Libya. Its tunnels appear to have been stacked high with every kind of weapon. Oct. 2 (Bloomberg) — Exxon Mobil Corp., BP Plc and Chevron Corp. are among at least 49 companies that registered to bid today for exploration rights in Libya, as the north African country steps up efforts to develop Africa’s largest crude-oil reserves. About 60 companies bid in the first auction, offering Libya’s government 61.1 to 89.2 percent of any production and paying $133 million in signing bonuses. Libya, a country slightly larger than Alaska, has proven crude-oil reserves of 39 billion barrels, equivalent to more than five years of U.S. consumption. Libyan Energy Secretary Fathi Ben Shatwan told Bloomberg on Sept. 19 that potential reserves may top 100 billion barrels as only 30 percent of the territory is covered by agreements with oil companies. Those aren’t even good business deals on top of it all – they didn’t make that deal on the Louisiana Coastal oil fields – I didn’t see Mississippi get a $1 billion dollar “signing bonus” plus give away only a 12 percent share of the oil revenues produced. In fact, it looks like it is almost exactly backasswards from that in the US oil resources – we’ve paid them over a billion dollars to find it, pump it and process it (at least) plus given away nearly all the profits from it – who is negotiating this stuff? Damn. It’s just wrong. It is wrong. Innovate something? Like what – CDOs, credit default swaps? Mortgage-backed securities that can be sold and resold and then foreclosed and sold again after taxpayers pay for the purchase of the securities that were created from them? Is that what they mean? Or what kind of corrupt criminal nonsense would get supported this time the Republicans are taking over power? But the Qaddafi son’s have laughed at the international coverage about the “alleged” violence and deaths of civilians at their hands. They’ve also insisted that they want resolutions “without violence” even as they have armed mercenaries and their own security officers with orders to beat down, whip, stomp, crush, shoot and kill the protesters accusing them of being backed by enemies. It is obvious that the only real enemies of the people in Libya and the international citizens in Libya, the national resources of Libya and the international business resources in Libya – are the Qaddafi regime and the family members specifically whose orders are being carried out with no regard to the crimes against humanity they are perpetrating. Pakush points to another site about 100 metres away. ”Yesterday [Thursday] we found 42 soldiers in an underground cell. Three of them were dead,” he said. The men were Libyan soldiers who had refused orders to defend the military base against the popular uprising that has brought the regime of dictator Colonel Muammar Gaddafi to its knees. via Libya, Gaddafi | Soldiers entombed in airless cell. Congress enacted the Foreign Assistance Act in 1961 which separated military from non-military aid and created the United States Agency for International Development (USAID) to administer non-military assistance. The act also states that countries violating the human rights of its citizens will not be eligible for any type of aid. So, it was still my question – who decided to use our tax dollars to put sophisticated killing machines in the hands of regimes who were known to be abusing their citizens, torturing them, killing them, maiming them, viciously and arbitrarily attacking them, keeping their citizens impoverished, and commonly sponsoring terrorists, as well? And, why would anyone in our government get to do that when the law states unequivocally that no aid is allowed to be given to countries that violate human rights (using our tax dollars of any kind or variety.) That is what the Act says, authorizing such military aid, foreign aid grants, grants to other governments, financial and business pacts with such governments, and military training to such governments. At a time when every state budget is in trouble, when the Republican conservatives have taken over the House of Representatives with every intention of cutting every program to help the American people while increasing funding to the same foreign aid outflows listed above, and at a time when our national economic foundation is in dire trouble – how could this be? And, as we watch across the entire world – the horrors that Egyptian government ministers under Mubarak perpetrated on Egypt’s people and the horrors of the Libyan government under Gaddafi (Qaddafi) with his family’s ruthless perpetration of violence on the Libyan people – it looks like the principles by which America’s decisions were to be made properly – were plainly cast aside when military equipment, money and training financed or given by grants from the US taxpayers enriched them. It didn’t enrich the citizens of these nations. It never gave them human rights, human dignity, freedom of choice in their government, freedom, democracy, security, assurances of economic opportunity or in fact, anything of a good and secure life for themselves and their families. The decision-makers in the United States who gave our money to horrific dictatorships, did what? Did it really secure for us cheaper fuel or did it simply delay the question of what to do about it in general which leaves us with the problem of fueling our entire transportation system right now (and as we go forward,) at a time when our national economy can least afford to figure it out and implement it? And, just to tie this all together right quick – the above note on this post about the US current account balance means something very significant – far more than the “budget deficit” and far more than our current interest payments on our national debt and far more important than our national economic indicators within our nation (like number of foreclosures, business bankruptcies, corporate bankruptcies, bank failures, state and local budget deficits, unemployment numbers, etc.). The fact that we are still going to spend 17% of our entire revenues coming into the Federal government for military spending with such a significant part of it being used to arm the world’s nations including those with horrific records of human rights abuses – is important. And, that our nation is sending over $50 billion of our tax dollars overseas into programs for every other nation while children are hungry in America is pathetic. So many people think that the US foreign military aid consists of a few old tanks and planes we’ve already used that are being given to these other nations. It is not true. That is a separate program, which is done also. The money is given in grants, financial aid, financing, economic development and infrastructure grants, other payments, military training and security forces training and counterinsurgency training. And, our money is paying to provide training for foreign government officials on how to force people in their own nation to get business permits before starting a business or be beat to death by the security forces that our money paid to train. The money goes to bridge projects and setting up banking systems, for government offices and to provide staff for those offices – which leads me to surmise that the stranglehold of bureaucracy created in Egypt and Libya and elsewhere might be the indication that they’ve learned how to simply keep getting more of our USAID and foreign aid money by making another layer of government offices to satisfy the paperwork to get the grants for it. Okay – but these funds by the billions of dollars from the US and other nations across the world have been going into these nations for the last fifty years or more – at what point can we say they already have a banking system now – and the other infrastructure projects satisfied?